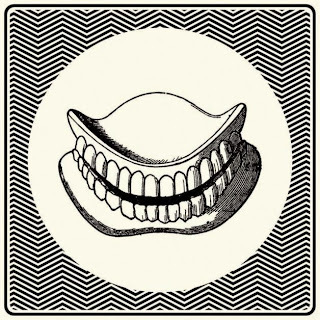 Within two years after their first album Pearl Mystic English collective Hookworms already dropped its successor. The new release, The Hum, shows the band has made a lot of progress. The debut was a dark and exciting record, but also somewhat out of balance. On the new album the band are more in control and the songs more finished and focused, without losing strength. The title of the record is a reference to the phenomenon that some people hear a continuous low hum, that varies from being annoying to intolerable and driving some of them crazy. The band uses a lot of "drones" in their music, repeating elements that, like this "hum", keep on playing imperturbably. The band emphases this with short tracks in between the songs, that keep playing such a drone. These tracks are simply noted with a Roman numeral like on the previous record and are sequentially numbered, continuing from the debut. An example is 'iv', where the guitar feedback keeps ringing. Many songs are glued together like this, making the record keep its momentum. This is quite clever and it slowly transforms the sometimes heavy songs and emphases the repetition. It gives the record its coherence and it's where the band made big steps. Fortunately the punkrock influences and sometimes hysterical vocals remain, like in the opening song 'The Impasse'. In 'Beginners' we can hear an organ, that keeps on playing louder in 'v' and then continues in 'Off Screen' on a normal volume. This way the songs are forged together again into one piece. The now and then derailed organ returns more often and elements like this add exciting moments. It turns The Hum into an intriguing record, that won't get boring quickly. Hookworms seem to have found their identity and strength, and deservedly turn up in several end of the year lists. Live on stage this should result in an interesting performance as well, so keep an eye on this band and their tour schedule. Listen to 'The Hum' on Spotify.